What makes “Qualified Air Duct Cleaning Technicians”? Just an ability to turn on a vacuum? 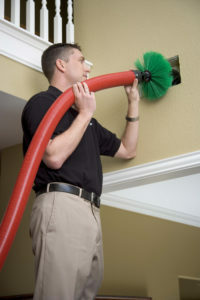 A Qualified Air Duct Cleaning Technicians MUST have a background in ductwork. Far too many companies all over the internet just view air duct cleaning as a great way to make a quick profit. “It’s basically the same as carpet cleaning” is a common thought with many of these companies. Personally, we feel the worst of these companies are the carpet cleaning companies who decide to add air duct cleaning services to their task list. A truly qualified air duct cleaning technicians will not only be trained and certified in how to use the equipment, but will also be fully trained in ventilation and duct work installation and repair. Our company offers ductwork installation and repair services. Before a technician is ever sent out to do a duct cleaning job, they must first be fully certified for all aspects of ductwork. It’s important that the Qualified Air Duct Cleaning Technicians know not only how the equipment functions but also how the ducting should be properly installed. Our Qualified Air Duct Cleaning Technicians can troubleshoot any duct problems they encounter and make repairs when needed. 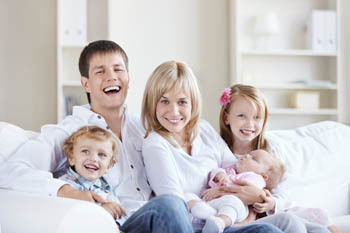 Air duct cleaning is much more than just cleaning carpets or running a vacuum!